What must be done a month before GATE exam? STOP!! Stop your preparation. Oh, Just a month has left for exam, Why should we stop preparation? – What are the topics/subjects still left? Is it really necessary to cover all the topics? – How much I confident about the topics which are covered in past months? – Did I cover numerical with theoretical concepts very well for each topic? – Should I also join any test series or attempt mock test at home? – Do I remember all formulas? – Shall I see previous year GATE papers as well? – Am I giving full efforts for my exam? How can I plan my next day/month to get maximum output? – When should I start revision? In my point of view, Covering a 100% syllabus is not at all necessary. In past days, after looking over previous gate results , I realized that 80% syllabus is enough to secure a decent rank. Only 2% students are able to secure more than 50 marks out of 100. Obviously it depends on the paper but If you are not confident about to make 60% marks out of your 80% syllabus, there is no meaning to prepare for whole syllabus. It would be rather far better if you revise the topics and feel strong in them. Specially for GATE exam, numerical and theoretical concepts equally weighable. One should not ignore numerical. How can I decide my preparation is going well or not? We need some sort of comparison with other students, How well I am scoring compared to others. Here, test series helps. It is also help us to know our speed to attempt the questions. But, generally standard of GATE questions are different than these test series. So it would be better if we attempt previous year GATE papers in the time boundation environment(3 hours) at home. Now, see how much you are scoring. You can compare it with previous year ranks at per the score. But process does not end up here. Most important part is to think about wrong answers. We have to give more time to analyze our concepts, why it fails. If you say, you were not able to attempt the questions, that is OK, rather you attempt the question with wrong concept. That would be more dangerous. Negative marking do matter in case of large number of students. 0.33 marks difference may be latter stops you to clear the cut off of some institutes. It’s a final part of any preparation. It is as important, as your preparation in last 4-5 months. We may feel that, I remember all concepts whatever I learned in last 4-5 months, but better to check before the exam. We may sometime skip some topics, which we found little bit difficult, or easy. Now time has to accumulate all our notes, rough copies, solutions, whatever related to preparation at one place. GATE syllabus is very vast, I would better prefer to start revision now. If you feel that I have to still cover some more topics, do in parallel. 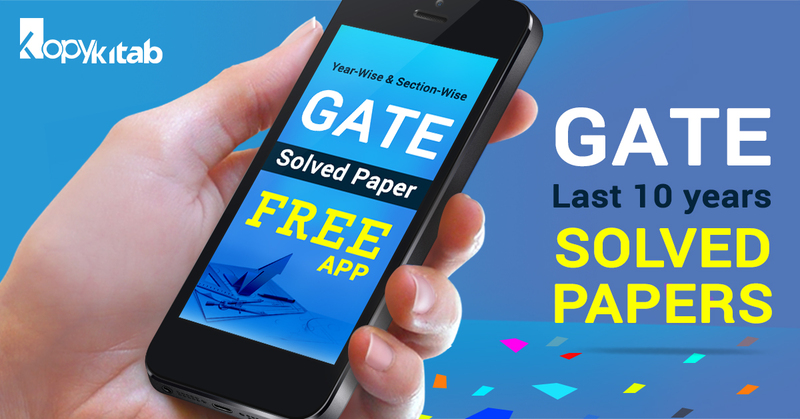 – and also attempt 2-3 previous year GATE papers within a week as a mock test with proper analysis of solutions. (better give mock test as per your exam day schedule). Now make your TO-DO list, and paste on your wall. Paste a calendar as well, and cross the past dates. All the very best for exams. these r very motivational to Me. Its 20days remaining ..I dint start reading still coz I was busy with 7th sem exams..r these 20 days enough 4 me to study n get good marks..I don’t undrstnd wat vil hpn..plz guide me wat n how to do? How can I crack the gate in 1st attempt…? Nw am studying 2nd year Btech in EEE..
Next story Last minute practice tests for GATE ! Absolutely FREE!- On your mobile/desktop.